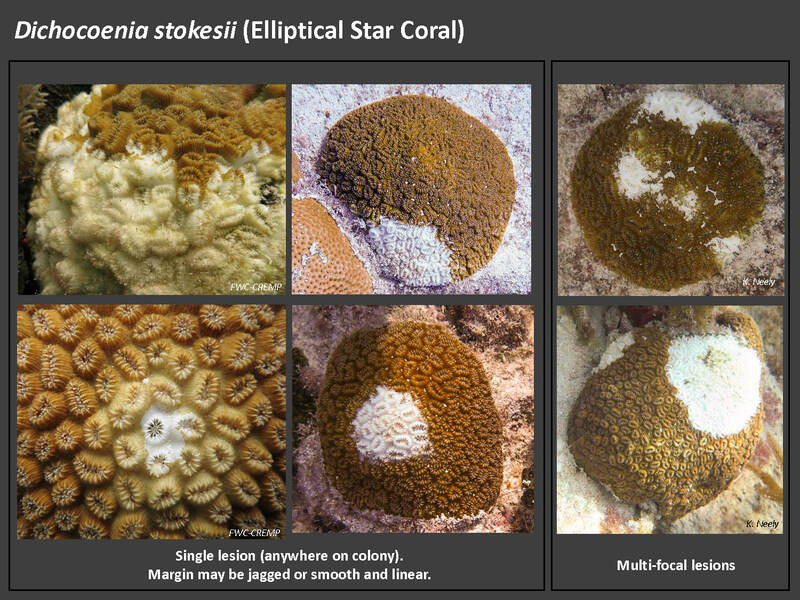 Stony coral tissue loss disease (SCTLD) is a new lethal disease first reported in Florida in 2014. 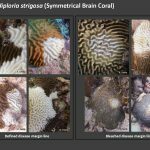 The cause of the disease is unknown but it is affecting >20 species of corals especially brain, pillar, star and starlet corals. 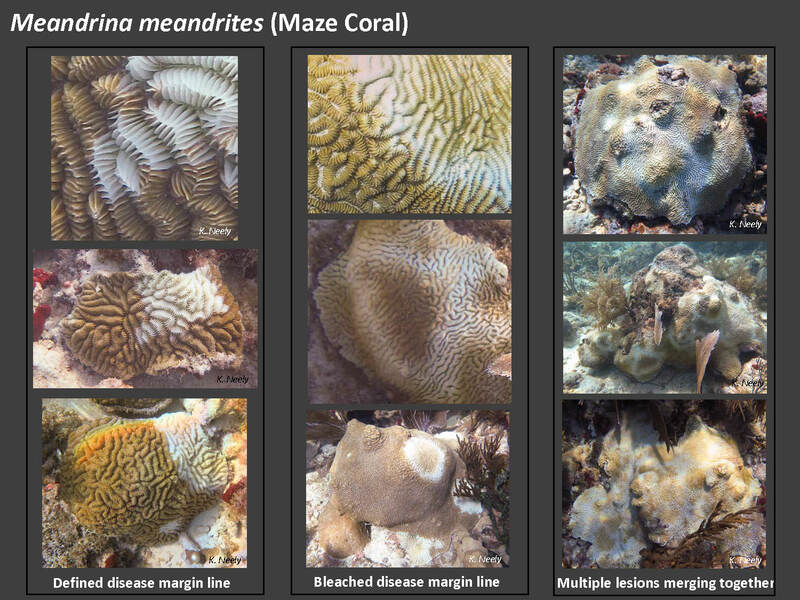 The disease spreads quickly causing high coral mortality. 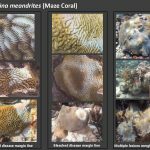 Outbreaks of SCTLD have been noted in other parts of the Caribbean: Jamaica, Mexican Caribbean, St. Maarten and, most recently St. Thomas, USVI and the Dominican Republic. 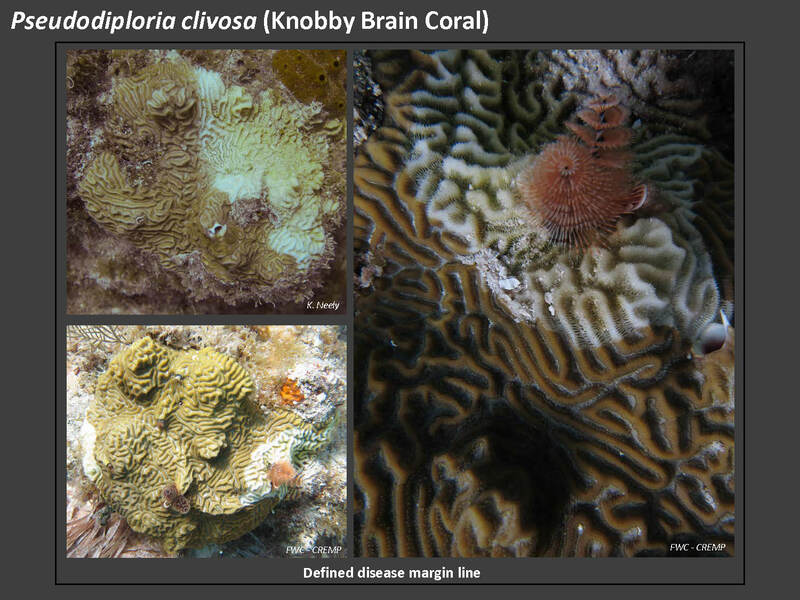 Characteristic of this disease is that sick colonies display multiple lesions and quickly die. 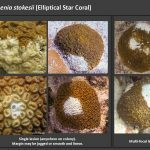 Highly susceptible species are the meandroid corals–i.e., pillar corals (Dendrogyra cylindrus), elliptical star corals (Dichocoenia stokes), smooth flower corals (Eusmilia fastigiata) and maze corals (Meandrina spp.). 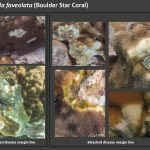 Starlet corals that develop numerous “blotchy” lesions, as well as diverse brain and star (boulder) corals, are also dying fairly quickly, followed by star corals (Orbicella spp., Montastraea cavernosa) and other coral species. 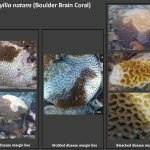 Reef researchers, managers and sport divers should continue to be on the lookout for sites with an unusually high percentage of diseased and very recently dead corals. If you see see any instances of disease, please submit your findings via the survey form below. Thanks to everyone who has responded so far. 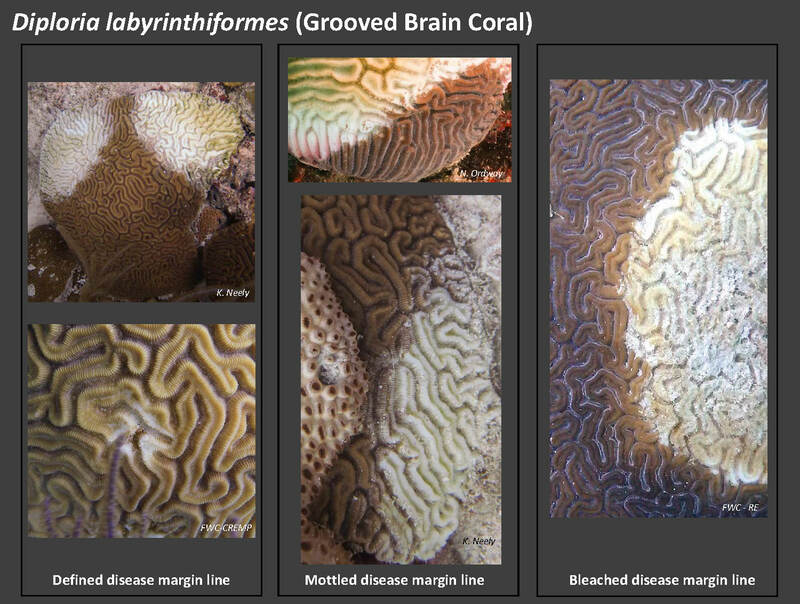 If you see any instances of Stony Coral Tissue Loss Disease or suspected disease, please submit your findings and photos via one of the 3 survey forms below. 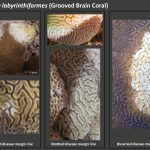 There are 3 types of survey forms to make it easy to submit your data BUT you only need to fill out ONE of the forms per reef site. 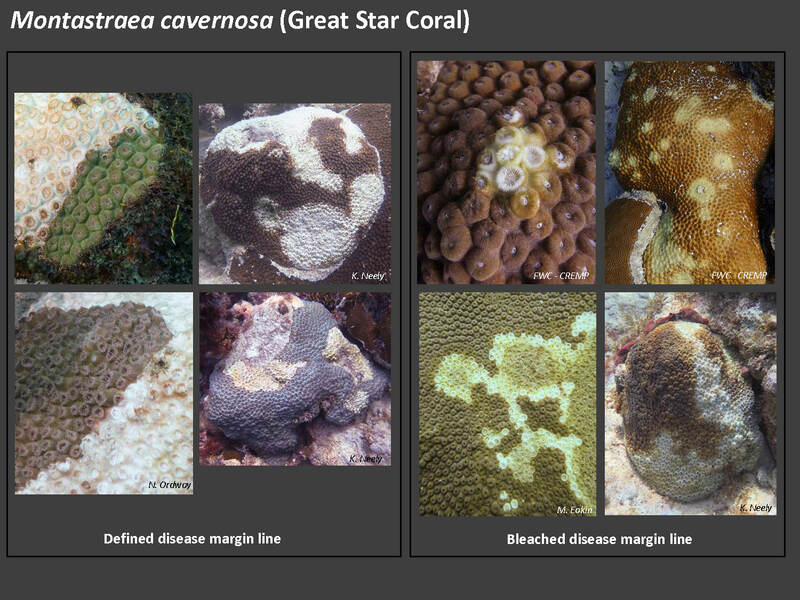 You can enter data by Scientific Coral Name, by Common Coral Group Name or by Roving Diver Survey. See Country disease summaries below and on this Country page. To cite or use this map in a report or publication: Kramer, P.R., Roth, L. and Lang, J. 2019. 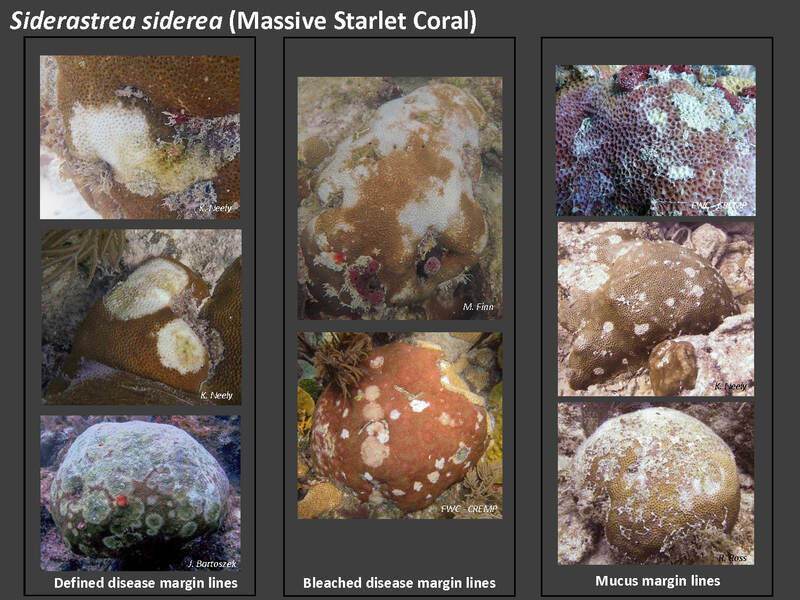 Map of Stony Coral Tissue Loss Disease Outbreak in the Caribbean. www.agrra.org. ArcGIS Online. Check back frequently for updates to the map. 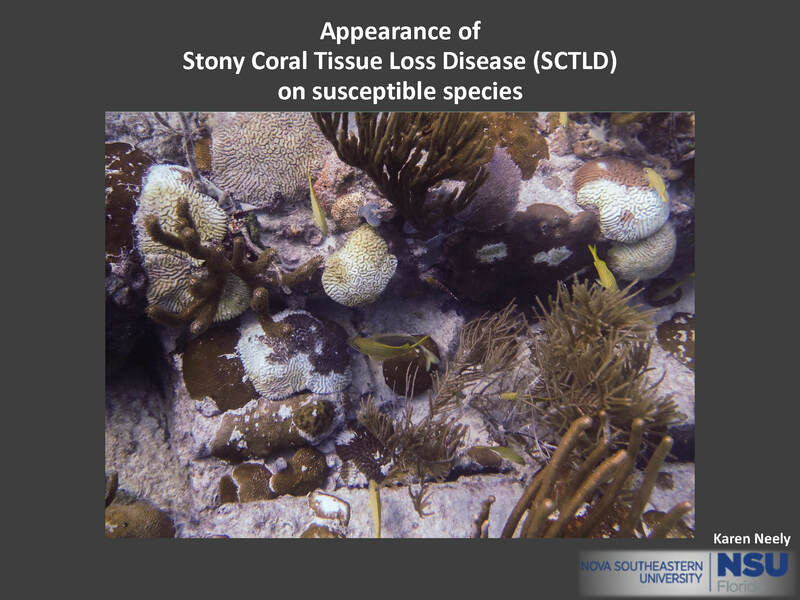 This video gives a closer look at the SCTLD outbreak off the northern Caribbean region of the eastern Yucatan peninsula, Mexico. 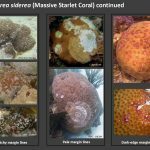 Researchers from UNAM’s Barcolab have been documenting its spatial extent and mortality since July 2018. 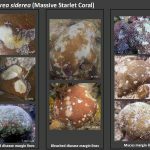 How is this disease different? 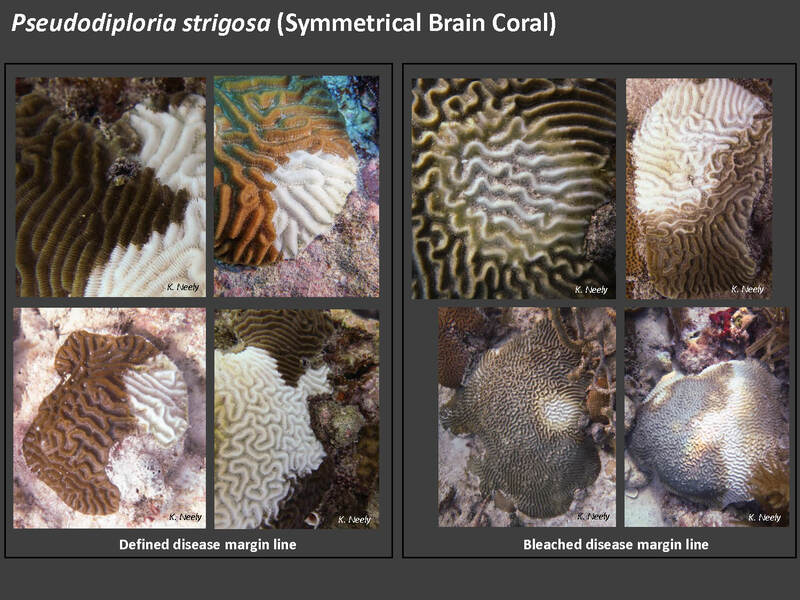 While disease outbreaks are not uncommon, the Stony Coral Tissue Loss Disease Outbreak event has never previously been recorded. 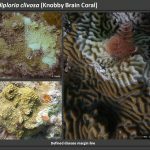 • Many coral species affected -Unlike other coral diseases, SCTLD has affected >20 species of approximately 45 Caribbean reef-building coral species. 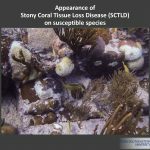 Certain species are highly susceptible to SCTLD. 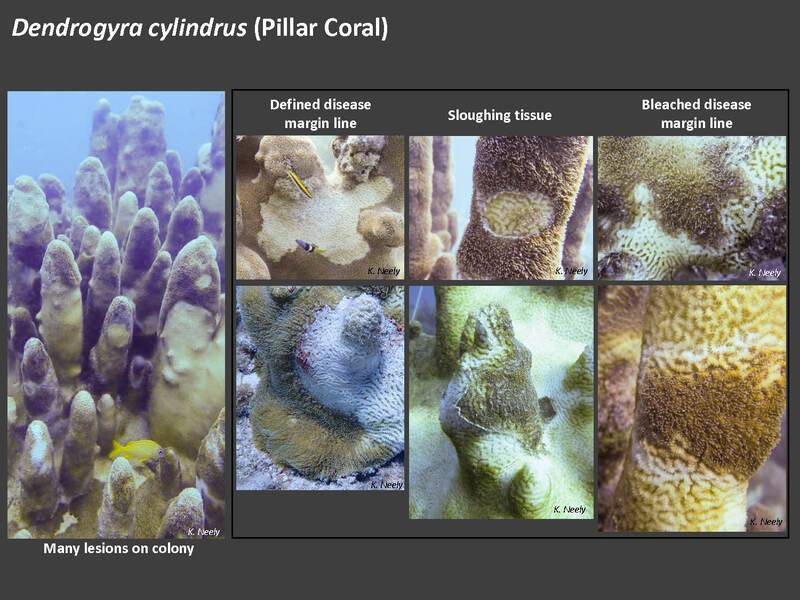 Other species, like acroporids, have not been affected. 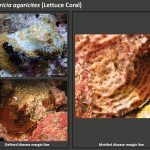 • High prevalence – SCTLD disease is seen in many to all colonies of highly susceptible species. 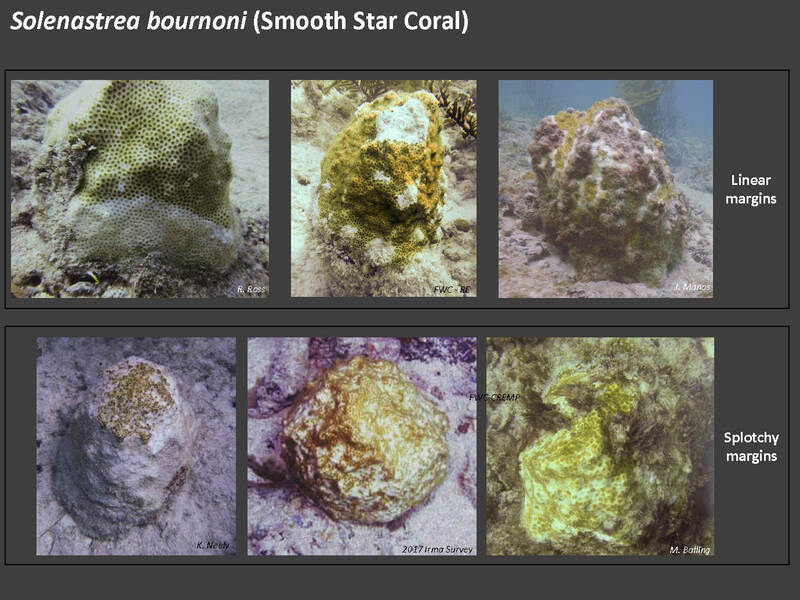 In Florida, 66-100 out of every 100 colonies surveyed were infected. 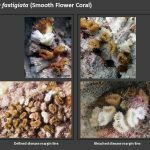 • Rapid mortality – Once a coral is infected, it begins to rapidly lose living tissue and the colony dies within weeks to months. 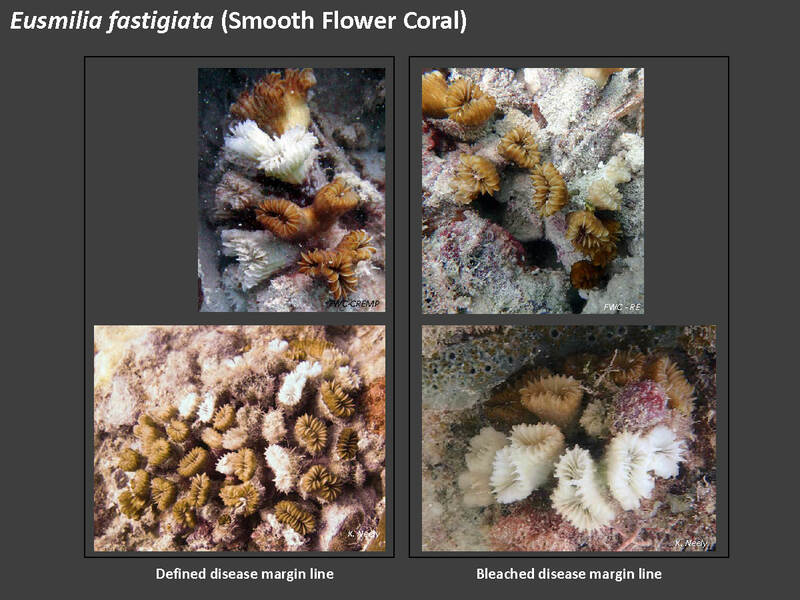 • High rates of disease transmission –When SCTLD is present on a reef, it spreads rapidly. 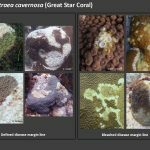 Recent studies have suggested the disease is caused by a bacterial pathogen which can be transmitted via direct contact or through the water column. • Large geographic range – SCTLD outbreaks occur over large spatial scales. 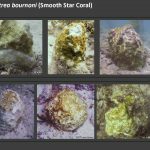 Over half of the Florida Reef Tract has been affected: > 96,000 acres since 2014. 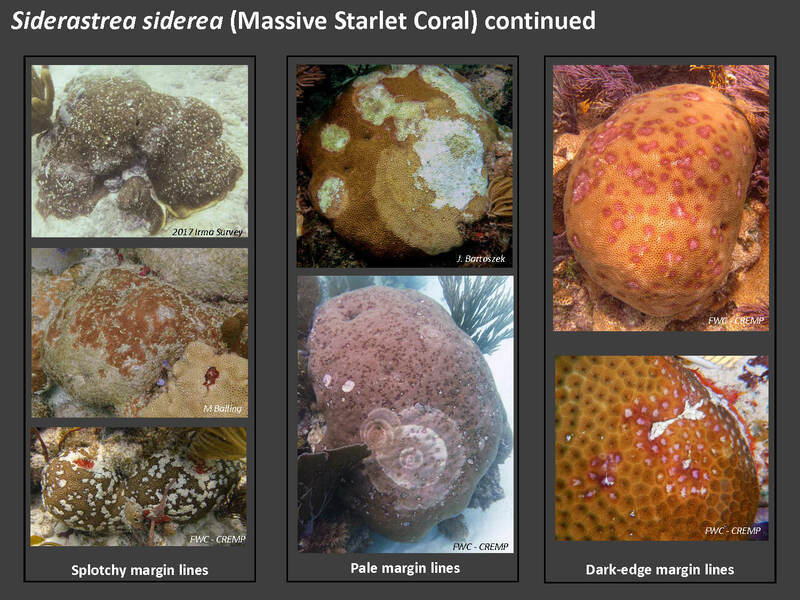 SCTLD is now found along the entire Mexican Caribbean coast and has affected >30% of all corals. • Long duration of the outbreak. SCTLD has continued to spread for more than four years in Florida. 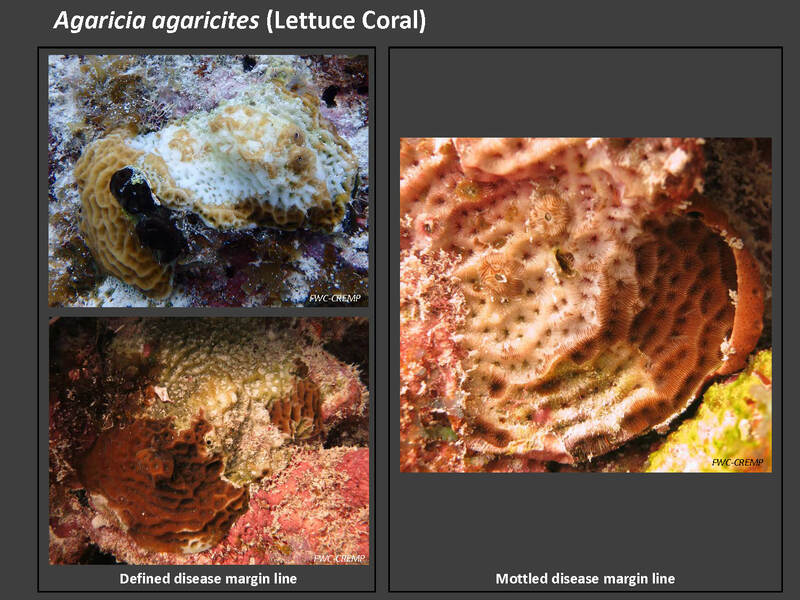 Highly Susceptible Species*: Early onset (the species first affected during an outbreak), with rapid progression, and total mortality ranging from one week for smaller colonies to complete mortality over 1-2 months for larger colonies. 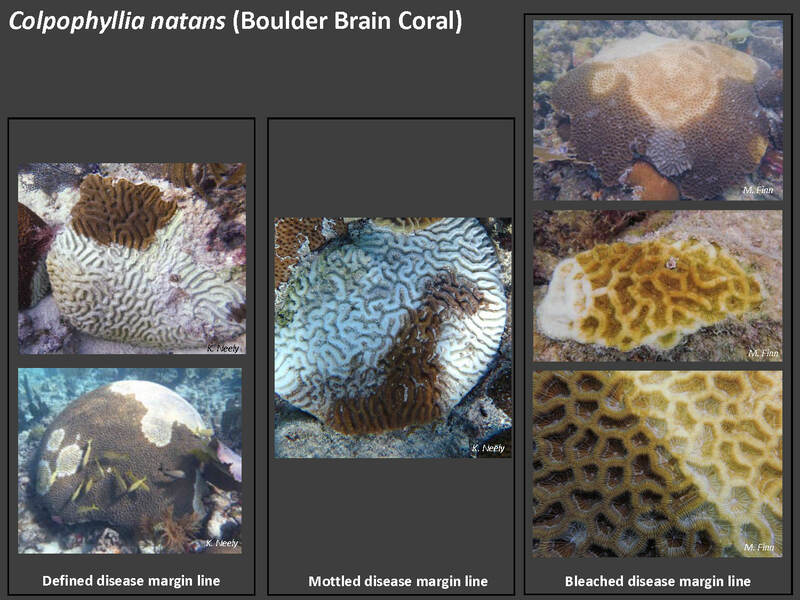 Typically, M. meandrites and D. stokesii are the first to become affected at a site, followed by C. natans, and then the others show disease signs shortly thereafter. 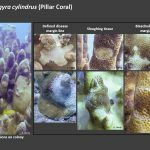 How do I identify Stony Coral Tissue Loss Disease? 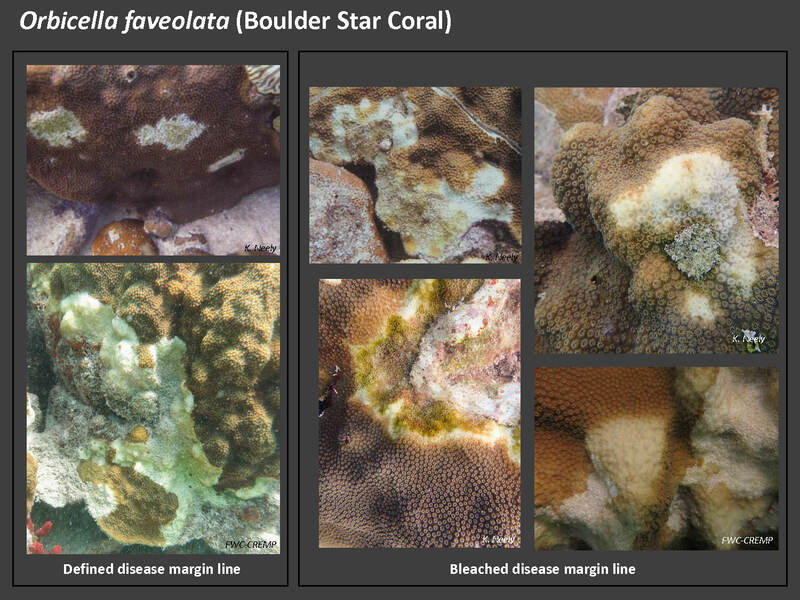 Move through this slideshow to see how to identify the appearance of Stony Coral Tissue Loss Disease (SCTLD) on susceptible corals in Florida. Slideshow provided by Karen Neely. See where this has already been reported.